A nursery worker has appeared in court charged with a series of sexual assaults on children. 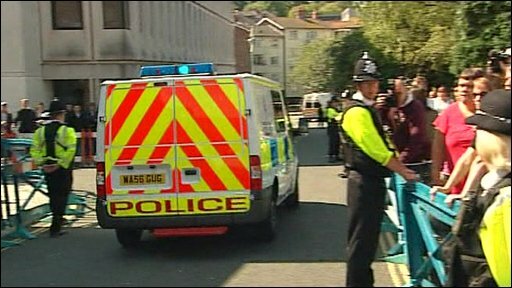 Vanessa George, 39, of Plymouth, Devon, appeared before magistrates in the city to face four charges of sexual assault. She also faced one count each of making, possessing and distributing indecent images of children. There were tears and shouts of anger from the public gallery as Ms George was remanded in custody to appear at Plymouth Crown Court on 21 September. She faces three counts of sexual assaults on a girl under the age of 13 and one count of sexual assault on a boy under the age of 13. 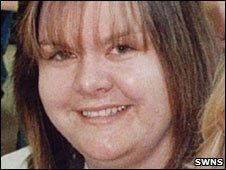 Ms George, wearing a white T-shirt and black trousers, spoke only to confirm her name and address. She entered no pleas. As Ms George was led away, a man leapt from the public gallery and spat at her and another man ran from the court in tears. Before she appeared magistrate Hilary Anderson had warned people not to disrupt the hearing. She said: "This case is of a very sensitive nature and I would like to remind those in the public gallery that they should remain silent during proceedings. "Anyone causing disruption will be removed from the court and if necessary the court would be cleared." Court number one was packed. So busy, in fact, that some members of the public and press had to wait outside in the corridors. Inside, we watched 39-year-old Vanessa George as the graphic charges against her were read out. She bowed her head throughout the 10-minute hearing, speaking only to confirm her name, age and give her address as no fixed abode. People in court had been warned by the magistrate to remain silent - but there were gasps, shouts and tears from the packed public gallery. Police had drafted in 20 officers at the court for the hearing. A plastic barrier was put up around the entrance to the court where a group of people had arrived. There were more angry scenes as people shouted at the police van carrying Ms George away from court. Following the hearing two men, aged 22 and 31, were arrested on suspicion of causing criminal damage, in connection with the attack on the police van. Ms George, who worked at Little Ted's nursery in Plymouth, arrived at the court earlier in a police van with blacked-out windows. Police are continuing to speak to staff and parents of children who used the nursery. About 95 families have been contacted and offered support, advice and counselling. The nursery is still closed for police investigations. Following Ms George's appearance, her family issued a statement expressing their "shock" at events. "We remain strong as a family and will now await the case to go through the judicial system," the statement said. "We have two young children and paramount concern is to lessen the impact these events have on them as much as possible. "We would ask that the media respect this and our privacy at this difficult time."